MoreState and federal criminal defense, Nebraska personal injury and Workers' Comp attorney Carlos Monzon has been practicing law since 1994 and has effectively represented hundreds of clients at trial. In his twelve years of practice, A former federal public defender, Monzon has gained extensive jury trial experience in both state and federal courts. An energetic, aggressive, and effective litigator, Mr. Monzon is dedicated to promoting every client's best interests and...State and federal criminal defense, Nebraska personal injury and Workers' Comp attorney Carlos Monzon has been practicing law since 1994 and has effectively represented hundreds of clients at trial. In his twelve years of practice, A former federal public defender, Monzon has gained extensive jury trial experience in both state and federal courts. 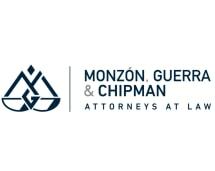 An energetic, aggressive, and effective litigator, Mr. Monzon is dedicated to promoting every client's best interests and protecting their future. Contact state and federal criminal defense lawyer and litigator Carlos Monzon for a free initial consultation. Se habla espanol.